When B. B. Warfield delivered his memorial message for W. M. Paxton in Miller Chapel at Princeton Seminary, he said of his friend and colleague that “Dr. Paxton’s power always lay more in what he was than in what he did, and the best of all sermons was the sermon he preached by his life” (236). Dr. Warfield had witnessed many of the twenty years that Dr. Paxton taught at the seminary and during the course of his memorial message it is clear that not only himself, but also the students had great respect for Dr. Paxton’s character and capabilities. William Miller Paxton was born of Scotch-Irish descent in Adams County, Pennsylvania on June 7, 1824. His father, Col. James Dunlop Paxton worked in the manufacturing of iron at Maria Furnace, and his mother was a daughter of the Hon. William Miller. When Mrs. Paxton suffered an extended period of poor health, Col. Paxton moved the family to be near her parents. William was educated locally before attending the recently established Pennsylvania College (currently Gettysburg College) where he graduated in 1843 with the intention of studying law. He chose to live at Caledonia Iron Works so he could read law with Judge George Chambers of Chambersburg. 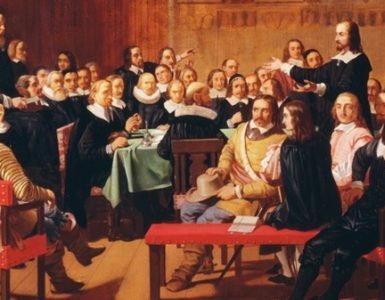 However, when William professed his faith in Christ as he united with the Falling Spring Presbyterian Church in Chambersburg in 1845, it appears he concurrently perceived God’s calling him to the ministry. The next month, he was taken under care of the Presbytery of Carlisle and then moved to Princeton, New Jersey, for his ministerial education. The class to which I belonged heard Dr. Archibald Alexander’s lectures upon Didactic Theology as well as those of Dr. Hodge. Dr. Hodge gave us a subject with massive learning, in its logical development, in its beautiful balance and connection with the whole system. Dr. Alexander would take the same subject and pierce it with a javelin, and let the light shine through it. His aim was to make one point and nail it fast (219). Paxton studied to be a preacher, but as Warfield said of him, “the real end of his study of doctrine was that he might become a doctrinal preacher.” But Paxton did not want to be what he described as “a theological grinder” whose procedure involved crushing and pulverizing truth between two logical millstones, and then presenting it grain by grain as if the bread of heaven was scarce….”(219-20). Paxton was diligent and skilled in his preparation and delivery of sermons, so much so that when he completed his work at Princeton Seminary there were several churches that showed interest in calling him as pastor. However, he returned to the area of Pennsylvania he was most familiar with when he went to the Greencastle Church immediately after graduating seminary in 1848 and was ordained and installed in October. He was succeeding T. V. Moore who had recently moved to Richmond, Virginia, to the First Presbyterian Church. From Greencastle he moved to the First Presbyterian Church of Pittsburgh beginning in January 1851. During his ministry, the church membership nearly doubled. 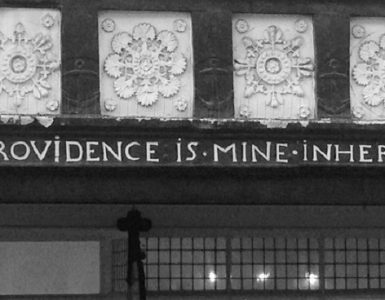 He continued in Pittsburgh not only as a pulpit minister but also as a teacher at Western Seminary by becoming the fifth professor with his specific field for instruction being sacred rhetoric. The seminary was struggling for funds, so Dr. Paxton gave his services teaching for his entire term from 1860 to 1872. Shortly after beginning his Pittsburgh ministry, he married Hester V. B. Wickes who died along with their child after only two years of marriage. In 1855, he married again, Caroline Sophia Denny who was a member of the First Church congregation. The couple would have three sons and four daughters. Unfortunately, their oldest son, when he was five years old developed asthma and the smoke and soot of Pittsburgh’s industries aggravated his condition. After fourteen years of ministry and teaching, the family needed to move to a city with a less threatening atmosphere for their asthmatic son. Once it was known that Rev. Paxton was looking to leave Pittsburgh, he had many offers and settled on the First Presbyterian Church in New York where he was installed February 1, 1866. He found his ministry in New York to differ from that in Pittsburgh in that New York involved considerable work as an administrator while his Pittsburgh call had been predominately centered around the pulpit. His New York ministry was a busy one with him serving on boards for local charities, in his denomination, and for home and foreign missions. The move east and his proximity to Princeton led to his serving as a director of the seminary beginning in 1866 and then as a trustee of Princeton College beginning the next year. He continued his teaching in New York by lecturing on homiletics in Union Seminary, 1872-1875. In 1883, Dr. Paxton moved from New York to Princeton to fill the Chair of Ecclesiastical, Homiletical, and Pastoral Theology left vacant by the resignation of A. T. McGill. It was not an easy decision for him to leave First Church due to his love for pulpit ministry. After beginning his Princeton work he had occasions of homesickness for the pastoral ministry just as other faculty, such as J. W. Alexander, experienced during his seminary teaching. Paxton published several lectures and sermons over the years of his life along with a review article titled, “The Call to the Ministry,” in the first issue of The Presbyterian Review. 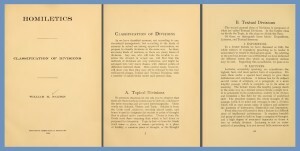 Warfield mentions that he personally saw some thirty written items including Paxton’s “elaborate scheme of Division of Sermons,” which he allowed to be printed for use in his classes but not for distribution (235). 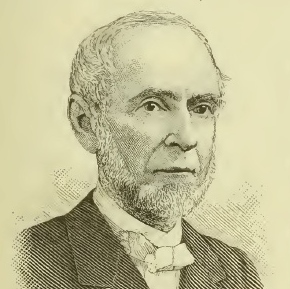 Dr. Paxton served the seminary for twenty years until due to a weakening constitution and the advice of his physicians he ceased his work at the end of the 1901-1902 academic year. William Miller Paxton died November 28, 1904 from a stroke he had suffered two weeks earlier. He was buried in the Princeton Cemetery. Over the many years of his life he was honored often. Jefferson College granted him the D.D. in 1860. He served as a commissioner to the General Assembly in 1860, 1862, 1870, and 1881, in addition to his service as moderator of the meeting in Madison, Wisconsin, in 1880. His retiring moderator’s sermon the next year was from Isaiah 52:1, “Awake, awake; put on thy strength, O Zion.” In the fall of 1880 he attended the Second General Council of the Presbyterian Alliance that met in Philadelphia for its sessions in the Academy of Music in the evenings, and during the days in Horticultural Hall which was left from the 1876 centennial celebration. At the Presbyterian Alliance, he was appointed to deliver the opening sermon which he delivered from Matt. 8:11. Sources—This biography was edited and revised on August 28, 2015. Paxton’s sermon to the Presbyterian Alliance is provided in an edited version in, Nevin, Presbyterian Encyclopedia, on pages 639-43; the parenthetical page numbers in the biography refer to B. B. Warfield’s memorial found in The Princeton Theological Review, April 1905, 213-37; the Necrological Reports of Princeton Theological Seminary, 1905, was also helpful. 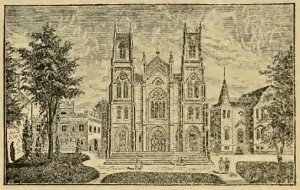 The Centennial Volume of the First Presbyterian Church of Pittsburgh Pa., 1784-1884, has much material about Paxton and the drawing of the church used in this biography. 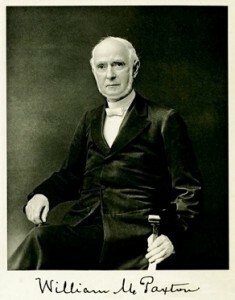 The picture of Paxton seated with cane and signature is an edited snapshot (his signature is now centered) from, In Memoriam, William Miller Paxton, D.D., LL.D., 1824-1904, Funeral and Memorial Discourses, New York, 1905. The image of the title and two additional pages from Homiletics is a composite of three snapshots.